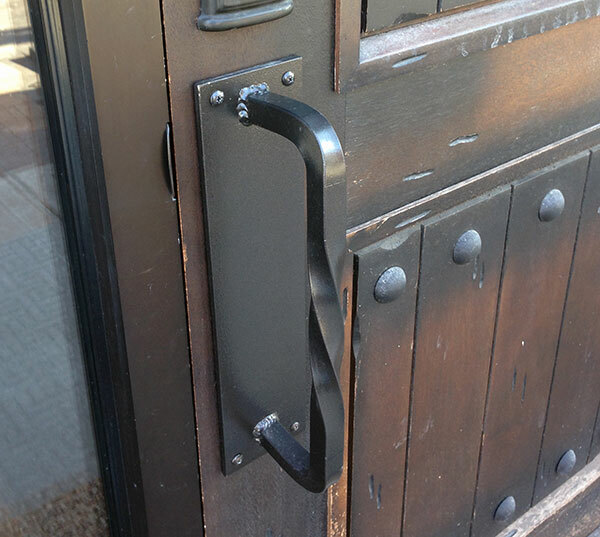 These solid steel door handles offer a great first impression. These are made from 3/4 inch solid bar, heated and turned. The handles are welded to a plate. A matching handle is on the inside of the door. These are finished in a dark bronze paint.